Why Saudi Arabia Is Suddenly Shaking Up Its Military : Parallels The kingdom replaced top military brass, opened armed forces jobs to women and promoted a woman to a senior Labor Ministry post in a series of rare steps in the ultraconservative kingdom. Crown Prince Mohammed bin Salman is pushing for a dramatic overhaul of Saudi institutions. Saudi Arabia replaced a generation of its military leadership, for the first time opened some military jobs to women and promoted a woman to a top post at the Labor Ministry, in a series of rare steps in the ultraconservative kingdom. 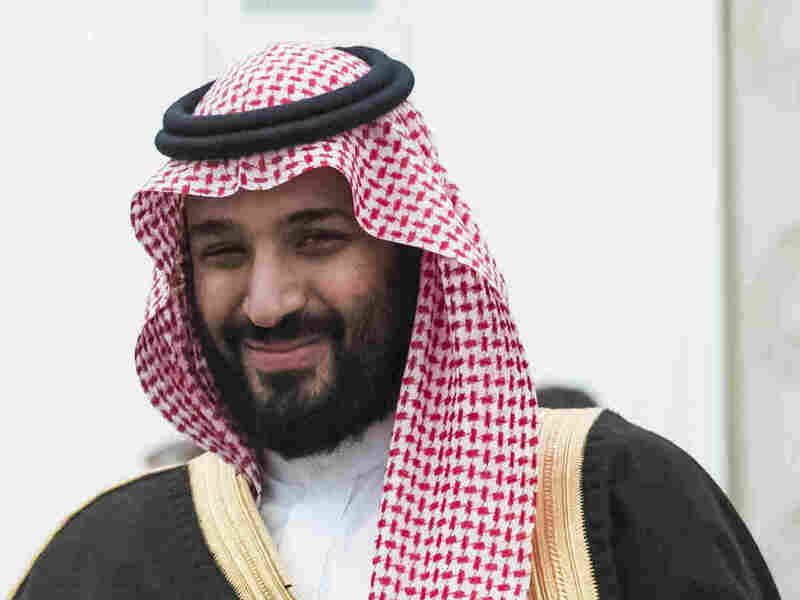 Reported by the official Saudi Press Agency late Monday, the royal decrees are the latest move in a dramatic campaign to overhaul the country's institutions led by Crown Prince Mohammed bin Salman, the powerful son of Saudi Arabia's King Salman bin Abdul-Aziz Al Saud. The kingdom's leaders gave no explanation for the abrupt changes — including a new military chief of staff and other top defense and interior ministry officials — setting off speculation that the military shake-up was due to failures in the stalemated war in Yemen. But analysts say this is part of wider reforms, which include rapid changes in economic and social policy as well as increased military engagements abroad. "There is a bigger project to reform the military," said Bernard Haykel, a Middle East specialist at Princeton University. "Military weakness has been exposed by the war in Yemen, it has helped them understand the problems." For three years, Saudi Arabia has led a coalition of nations in a military campaign in Yemen against the armed Houthi movement, which has ties to Iran, Saudi Arabia's chief rival. The kingdom has received international criticism for a stalled conflict that has killed nearly 6,000 civilians and has put 22.2 million people in need of humanitarian assistance, according to the United Nations. The Saudis have spent billions to buy the latest military hardware, mainly from Western countries like the United States, Britain and France, but there remains a gap between procurement and capability. Crown Prince Mohammed serves as the Saudi defense minister and is considered an architect of the Yemen war. He has voiced frustrations with perceived limitations, and analysts have said that has spurred the military reforms, which include a push to build a domestic armament industry. Crown Prince Mohammed, Haykel said, "wants Saudi Arabia to carry its own water when it comes to defense." The military reshuffle comes as the crown prince has revamped the military procurement and bidding process, Haykel explained. "It's a bigger thing than firing and hiring people." The changes were announced ahead of Crown Prince Mohammed's three-week trip, in March, to London and then to the United States, where he is expected to visit Washington, D.C., and five other U.S. cities. "This is a big moment for them," said Theodore Karasik, with Gulf State Analytics, a private advisory group in Washington. "It's not only about making the Ministry of Defense more efficient. It's part of the negotiations in the U.S. and U.K. about defense and armaments," he said. Karasik believes this is also an example of the generational shift in Saudi Arabia that began when King Salman upended the kingdom's royal succession tradition and elevated his son to crown prince last June. Mohammed bin Salman has consolidated tremendous power and pushed for a rapid transformation of the kingdom, backed by a millennial generation that is hungry for change. The crown prince promised young people more jobs, growth, entertainment and freedom from the strict enforcement of religious police. Women will soon be allowed to drive and start their own businesses without getting permission from their male guardians. "You get this youth pressure to get rid of the old order," said Karasik. "They are going to get shoved out of the way."